Zoya polishes in Tao (smokey grey) and Yara (shimmery olive green). While I was at Sephora, I picked up my birthday gift! Fresh Sugar Kisses lip balm duo! Care package from Heidi D Cosmetics. Lipgloss galore. First full-size purchase from Birchbox. Carol’s Daughter Monoi repairing hair mask. It’s SO GOOD. A gift from the Glam Media dinner. 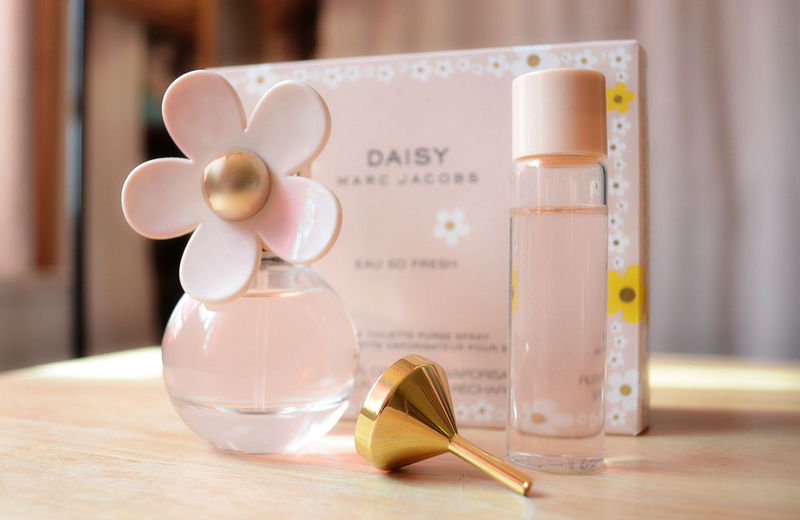 Daisy perfume by Marc Jacobs.